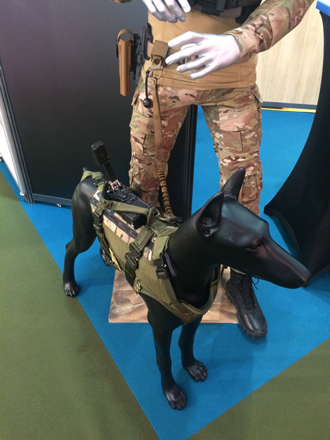 The US Army has published a requirement calling for next-generation protective vests and sensor payloads for Multi-Purpose Canines (MPCs) which continue to be relied upon during surveil-lance/reconnaissance and counter-terrorism missions. As demand for personal protection equipment (PPE) continues to rise, armed forces are also considering its integration into more holistic soldier modernisation concepts aimed at enhancing the situation awareness (SA). Industry is not only looking for lighter ballistic protection to maximise soldier mobility, but looking at how this can be integrated with C4ISTAR (Command and Control, Communications, Computers, Intelligence, Surveillance, Target Acquisition and Reconnaisance) systems to increase an individual soldier’s situational awareness (SA). According to market research company Technavio’s Military Lightweight Armor Systems Market 2017-2021 report, published on 9 June 2017, soldier protection and safety remains a ‘prime concern for the defence ministries’ with armed forces ‘adopting various measures to facilitate the development and procurement of systems and equipment that enhance the protection level of the soldiers’. Referring to ongoing collaboration with soldier modernisation efforts, the report also stated how another trend gaining momentum is the integration of electronic components: ‘The incorporation of electronic components into body armour is trending in the market. With the highly dynamic war environment, soldiers must be provided with more situation awareness and connectivity for their constant interaction with command centres. ‘Therefore, designers are focusing on making mission-centric, scalable and modular armour [solutions], supported by advancements in electronics that have made it possible to include sensors, communication and data gathering instruments in body armour,’ the report highlighted. Echoing these requirements to Asian Military Review, Laurence Bedford, head of research at engineering and software design services specialist SEA, explained how the burden on dismounted personnel in particular needed to be carefully considered, especially as power- and data-enabled equipment continues to be fielded on personnel. “Whilst scalable protection systems allow for adaptation to suit operations, there remains the overall issue of weight burden on the individual soldier. Weight directly affects soldier mobility and is an important consideration for survivability, since a faster moving soldier is less likely to be hit,” he explained. Focusing on the proliferation of on-the-man C4ISTAR solutions, Bedford also warned how the increasing use of power and data also presents ‘issues of signature management’ which can conversely, make soldiers easier targets to identify. “Protection systems are often thought of as the ‘bullet stoppers’. However, protection can be delivered through additional layers including avoiding detection and acquisition by hostile forces. The increase in man-worn technology upon the battlefield means that soldier signatures are becoming increasingly difficult to manage. “Additionally, the rapid spread of cheap sensor technologies allows threat forces ready access to capabilities to enhance the detection, recognition and identification of targets. It is therefore key that enhancements in the power and data enabled soldier be conducted cognisant of the signature management issues,” Bedford concluded. SEA continues to support the UK Ministry of Defence (MoD) in various Future Soldier Vision concepts and includes ongoing collaboration with the Defence Science and Technology Laboratory (DSTL) which is currently in the midst of developing a Synthetic Biology body armour solution currently achieving Technology Readiness Level (TRL) 3. The organisation is in the process of creating a series of chest plate technology demonstrators, according to Professor Petra Oyston, technical fellow, Molecular Microbiology and Synthetic, Biology Chemical, Biological and Radiological Division at DSTL, who addressed delegates at the Disruptive Technologies in Defence conference in London on 25 October 2017. 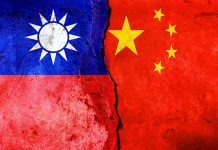 This particular effort revolves around the design of silicon carbide ceramic plate inserts derived from silicon-heavy agricultural waste, resulting in a cheaper means of production over conventional solutions as well as potential for so-called transparent armour solutions. Transparent armour relies upon a layered manufacturing process which allows a single ceramic plate to survive multiple impacts at the same precise point of impact. Legacy plates are able to withstand multiple hits across but face of the plate but not multiple hits in the same place. Other innovative concepts are being explored in Canada including the exploration of liquid armour technology which is being negotiated by BAE Systems and Canadian company Helios Global Technologies following a Memorandum of Understanding (MoU) signed on 1 June 2017. 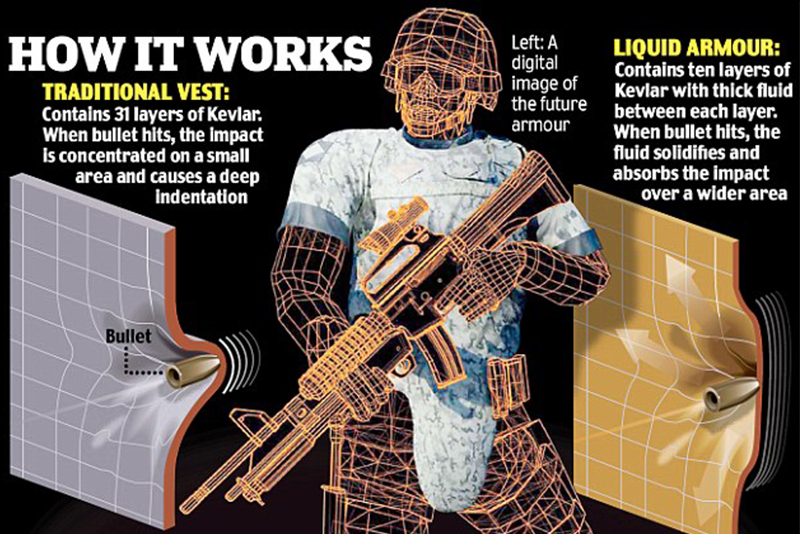 According to a joint statement published by the companies at the time, liquid armour comprises a ‘custard-like substance’ which has demonstrated the capacity to stop projectiles more effectively by hardening on impact, especially when combined with Kevlar. “Liquid armour could offer our troops increased protection but be lighter, allowing for greater manoeuvrability,” confirmed Anne Healey, BAE Systems’ general manager–Canada. Teamed with Helios Global Technologies, BAE Systems is exploring the development of liquid armour in order to increase multiple hit capabilities as well as weight savings over legacy ceramic plate inserts. The statement went on to describe how the companies’ liquid armour technology was capable of offering soldiers “increased protection with reduced mass, wider area coverage, greater manoeuvrability and easy integration with other systems”, as well as 45 percent reduction in plate thickness when combined with Kevlar. It stated that when a projectile impacts the material at speed, it hardens very quickly and absorbs the impact energy. When combined with Kevlar, the reduced flow of the fluids in the liquid armour restricts the motion of the fabric yarns. Examples include a series of body-mounted cameras, harnesses and accessories which allow MPCs to also insert onto target with handlers via parachute and fast-rope insertion techniques. “This means an increase in area over which the impact energy is dispersed. The material is therefore far less likely to distort than standard body armour, which generally bends inwards when a bullet strikes, preventing death, but causing considerable pain.” Such a solution could eventually be integrated into body armour plate carriers and vests optimised for future soldier technology programmes. Examples include BAE Systems’ Broadsword concept, which according to product manager Richard Cross, achieved internal certification in September 2017. This particular solution comprises a family of e-textile based body armour plate carriers and load carriage solutions providing a wireless electronic network capable of integrating C4ISTAR and power solutions into a single soldier ensemble. Similar indigenous solutions aimed at reducing external cabling are also available across Asia Pacific with examples including Indian company MKU’s Custom and Integrated Body Armour (CIBA). 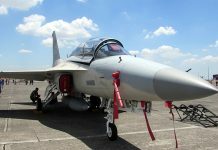 According to a company spokesperson, modern day warfare conditions and operational strategies continue to evolve, forcing armed forces to not only incorporate new tactics, techniques and procedures but also additional tools for extended SA. 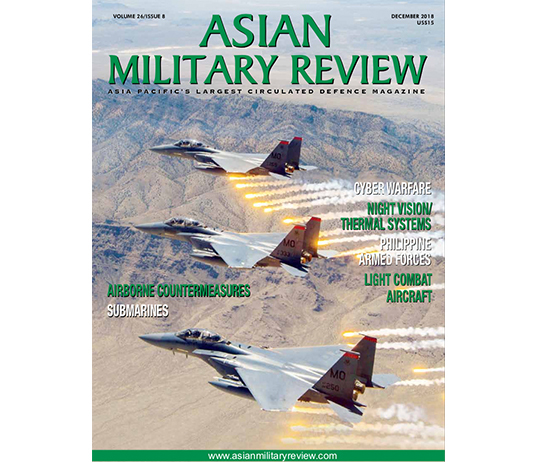 “Network centric warfare technology is becoming the order of the day. Command centres need to be updated in real time about the situation and status of each combatant. Such systems require the modern soldier to be equipped with a gamut of communication and control devices including GPRS systems, display and navigational gadgets, inter- and intra- platoon communication devices. “Such requirements enhance the need of body armour which can seamlessly integrate and power these intricate equipment without compromising on the mobility, lethality or survivability of the combatant while allowing for scalability, and modularity of components to suit mission centric requirements,” it was explained. MKU’s CIBA has been designed as a central hub for the dismounted soldier, in order to house not only soft armour and ballistic protection ceramic plate inserts but also an internal cabling system within the vest. It also includes a chest-mounted pouch for the addition of end user devices (EUDs) such as a tablet; battery pouches; and capacity to allow for the protected integration of communications headsets and tactical radios; GPS and other sensors. 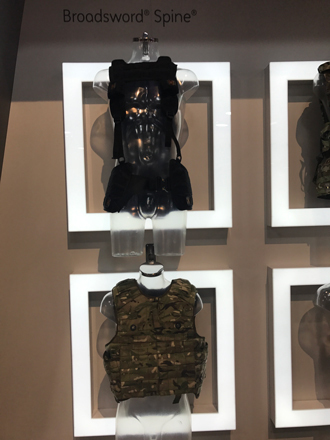 However, warning how an abundance of PPE could impact the mobility of a soldier on the battlefield, an MKU official explained to AMR how body armour must now be required to remain comfortable and easy to wear for extended periods of time on the battlefield. “[Body armour] needs to allow the soldier freedom of movement, agility and awareness. Badly designed body armour can hinder a soldier’s movement and can pose a risk to his survivability jeopardising the success of his mission,” it was explained with reference to added suitability for operations in extreme environments. “It is also extremely important that body armour of a modern soldier seamlessly integrates with mission critical equipment required by a modern soldier,” MKU concluded. Such a solution is being considered by the Indian Ministry of Defence which has established a government committee to encourage domestic production of lightweight body armour. This is part of a wider MoD approach, designated the ‘Roadmap for Make In India Body Armour’, a report which was published in August 2017 to encourage the foundation of test facilities; the implementation of Indian ballistic protection standards; and a Centre of Excellence for Research and Development focused on the development of nano-technology for lightweight body armour solutions. The strategy is expected to support ongoing procurement programmes to equip military and security forces in India as well as across Asia Pacific and the international community. Domestic demand currently includes 50,000 sets of body armour for the Police in addition to 186,000 sets for the Indian Army. A contract fulfilling the army’s requirement is expected to be concluded by the end of 2018, defence sources explained to AMR. The news follows a $28 million contract awarded by the Indian Army to MKU for 158,000 combat helmets, agreed in June 2017. Elsewhere in Asia Pacific, Australian company XTEK continues to proliferate its technology across the international Special Operations community with a contract agreement signed with the US Countering Terrorism Tactics Support Office (CTTSO) to develop a combat helmet capable of withstanding lethal ammunition up to 7.62mm x 39mm mild steel core (MSC) projectiles. Signed on 14 June 2017, the $644,000 contract has a remit to ‘fabricate and test combat helmets and flat panels’ based upon XTEK’s XTclave Composite Consolidation Technology (CCT). The 18-month programme is aimed at the development of a light weight combat helmet. CTTSO sources explained to AMR how the development programme would continue to support US Special Forces who routinely encounter high power rifle threats requiring ‘scalable personal protection equipment that offers increased coverage and threat protection, allowing them to select appropriate protection for each mission’. The concept would include mandible protection. 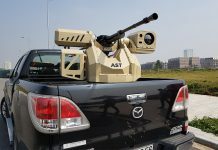 Describing its XTclave technology to AMR, a spokesperson for XTEK explained how the product was first designed to manufacture ballistic protection laminates for small arms protective inserts (SAPIs). “XTclave CCT makes it possible to manufacture lighter, stronger and stiffer composite articles, applicable to a wide range of lightweight armour applications up to and including NIJ Levels III and IV and has the ability to form large complex shapes and panel joiners for vehicle protection,” a company source confirmed. Meanwhile, an Australian/Singaporean venture called The Smart Think is also collaborating closely with Australia’s Defence Materials Technology Centre (DMTC) to design lightweight ballistic combat helmets and ‘next-generation’ ballistic armour. Essentially, the company is designing Para-Aramid combat helmets equivalent in weight to lighter Polyethylene variants, it was explained to AMR. The Smart Think aims to reduce average combat helmet weight by 25 percent with ‘non traditional’ manufacturing processes; as well as 50 percent weight reductions in the development of body armour ballistic inserts. Designs have been made with the objective of maximising the mobility of special forces operators and dismounted close combat personnel across the battlefield. As the source described, manufacturing technology converts a two-dimensional stack of composite material into a curved 3-dimensional object in a single step, meaning: “This technology removes the need for the traditional splicing of materials for the finished products hence significantly reducing weight and producing a higher-performing, safer ballistic helmet”. “The DMTC is developing a new and innovative technology for the production of ceramic armour that has the ability to reduce soldier and vehicle weight burden, while increasing protection and multi-hit capacity and is highly cost effective. 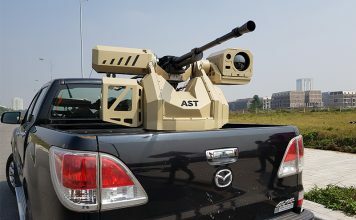 This system also offers an unprecedented level of adaptability enabling specific armour solutions to current military requirements,” the source concluded. In Russia, the Ministry of Defence continues to develop the latest generation in its family of Ratnik future soldier technology with significant attention to the integration of ballistic protection, mobility and SA tools. Addressing the media on 29 September 2017, Commander in Chief of the Russian Ground Forces, General Oleg Salyukov, described how the latest ensemble- designated Ratnik 3 – could be introduced into service as early as 2022. The Russian MoD has unveiled a mock-up of the Ratnik 3 design which, similar to the US Special Operations Command’s Tactical Assault Light Operator Suit (TALOS) concept, features a holistic head protection suite comprising not only ballistic protection but also integrated C4ISTAR mission suite. Resembling a motorcycle helmet, the system includes a mandible protective solution with visor; integrated rail adaptor system along the sides of the helmet for the attachment of accessories including laser designators, infrared beams and tactical torchlights; as well as a forward mounted fixture for the attachment of night vision goggles. The helmet’s weight is supported by a exo-skeleton frame which also features integrated ballistic protective plates across the chest, back, arms, groin, thighs and lower legs. Salyukov claimed the Ratnik 3 ensemble would provide airborne and special operations troops with a 30 percent reduction in all up weight of legacy solutions. Beyond ballistic protection, Ratnik 3 also includes life support, command and control, communications, target acquisition and power subsystems, MoD sources added. 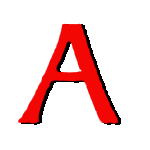 TsNIITochMash remains the systems integrator for the programme. Finally, PPE and soldier modernisation upgrades are not only restricted to personnel on the battlefield. 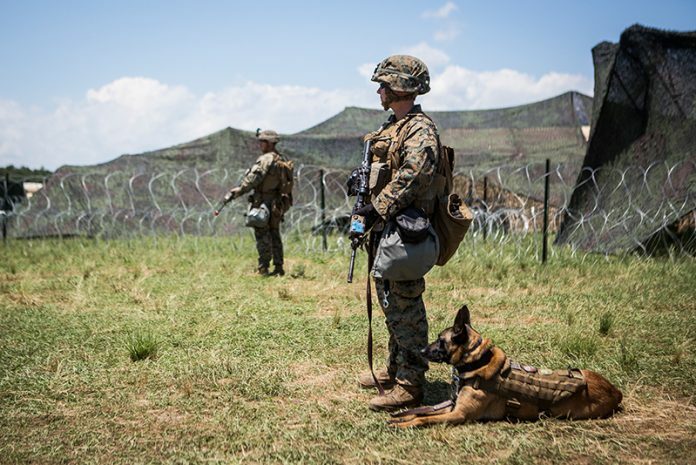 On 21 December 2017, the US Army published a solicitation designed to equip military working dogs (MWDs) with next-generation ballistic protective solutions and missions suites. Designated the Multi-Purpose Canine (MPC) Tactical Equipment programme, the effort aims to equip MPCs such as the Belgian Malinois (popular with the international special operations community) with customised tactical vests; camera systems; and sensors systems. The MPC suite would be capable of providing enhanced levels of protection and third party SA to assaulting troops who regularly use MPCs to enter buildings and compounds ahead of dynamic entry by assault teams. Options include Tactical Electronics’ K-9MC4 Back Mounted Camera and Chest Mounted Camera solutions, capable of capturing and disseminating real time video and sound back to an assault team or tactical operations centre. Cameras are available with an Infrared option for low light operations. Additionally, MWDs can be equipped with GPS solutions to support wider Blue Force Tracking software with options including the Garmin Collier T5 GPS which allows an MPC handler to monitor movements around and inside a target area for example. A careful balance of capability in ballistic protection and SA systems must compliment the mobility of soldiers across what is fast becoming a more congested, contested and confined battlespace. The current operating environment is set to focus more and more on littoral, urban and subterranean environments where maximum levels of SA, protection and mobility will be required to successfully execute operations at a tactical level.